Yes, we really are this insecure sometimes. But in all seriousness, we’re also inspired to do our best by reading the greats; it’s just not super great for our self-esteem when we’re trying to talk ourselves into believing we’ll get there one day. Feeling a little unconfident about your writing abilities? 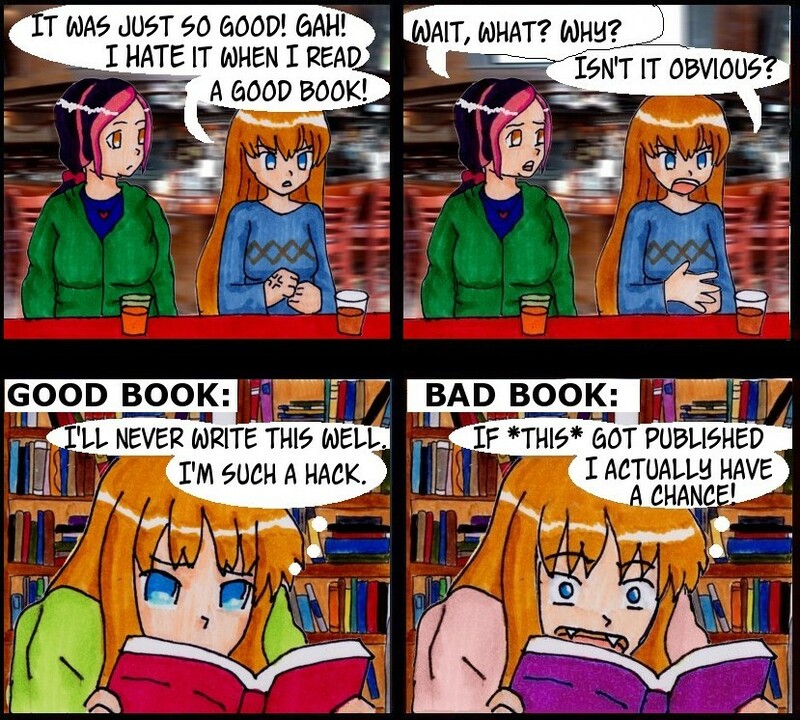 Read a really crappy book. Ha, I feel the same about science. If this study gets published, I’ll have no worries. Then I read good ones and think I’ll have no hope. comparison is the death of us. natural and hard not to do but the one thing that can drag us down.